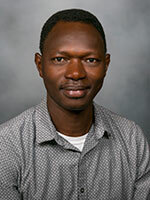 Ousseny Zerbo, PhD, is a Staff Scientist in the Vaccine Study Center at Kaiser Permanente Northern California Division of Research. His research interest is in vaccination patterns and safety in children diagnosed with autism spectrum disorder and vaccine safety during pregnancy. Prior to his current position, he worked in the Autism Research Program investigating risk factors associated with autism and health care utilization patterns in adults with autism. He received his doctoral training in Epidemiology from the University of California Davis. His dissertation work was on maternal infections, particularly influenza during pregnancy as a risk factor for autism spectrum disorders. Before his training in epidemiology, he was a high school biology teacher in Burkina Faso, West Africa, where he is originally from. This project has three major aims: 1) to examine whether influenza vaccination during pregnancy prevents influenza and other respiratory infections in infants aged 0 to 12 months, with a sub-aim to examine the effect of vaccine timing during pregnancy on these outcomes; 2) to evaluate the effect of maternal influenza vaccination during pregnancy on the effectiveness of influenza vaccine administered to infants; and 3) to examine whether influenza non-vaccination during pregnancy clusters geographically, and determine if those clusters are associated with influenza and influenza-like illnesses during pregnancy. J Autism Dev Disord. 2013 Dec 24. ​J Autism Dev Disord. 2013 Jan;43(1):25-33. doi: 10.1007/s10803-012-1540-x. ​Epidemiology. 2011 Jul;22(4):469-75. doi: 10.1097/EDE.0b013e31821d0b53.